Writing Your First Draft on ! 1 DVD · 1 hr. 2 mins. 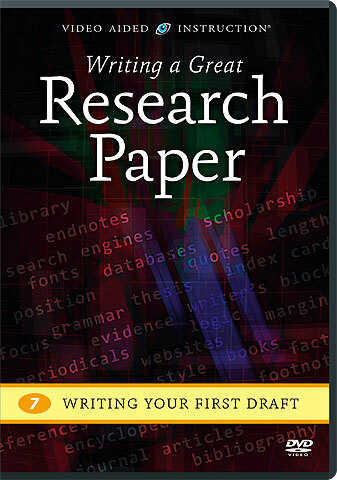 In this unique program, an expert writer teaches you how to assemble an effective outline for your research paper and capture your best ideas in a first-rate first draft — one that will make the revision process much easier and put you well on your way to a higher grade! Plus, you’ll learn how to treat “blinking cursor syndrome” with proven strategies for conquering writer’s block.